Hey Friends, I’d love to share a fun little story with you! I should start by telling you how much I LOVE my bed. You know that feeling when you travel, how you long to be back in the comfort of your own bed? Well that’s exactly my point…my bed is my sanctuary. 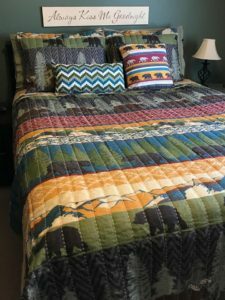 Several weeks back while making my bed, I thought how frumpy my bedding looked…that since we’d had it nearly as long as our oldest son (the almost 21 year-old), because it was beginning to show its age, I should think about updating. And because of how the universe works for me lately, just a few days later I was asked to review one of Latest Bedding’s quilt sets. 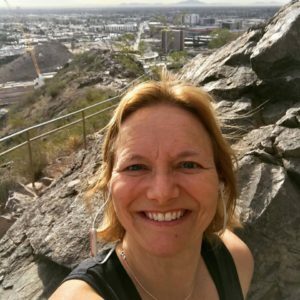 I was just heading out for another of my adventures when it shipped, so it arrived while I was exploring Arizona. You know, I love the outdoors, right? 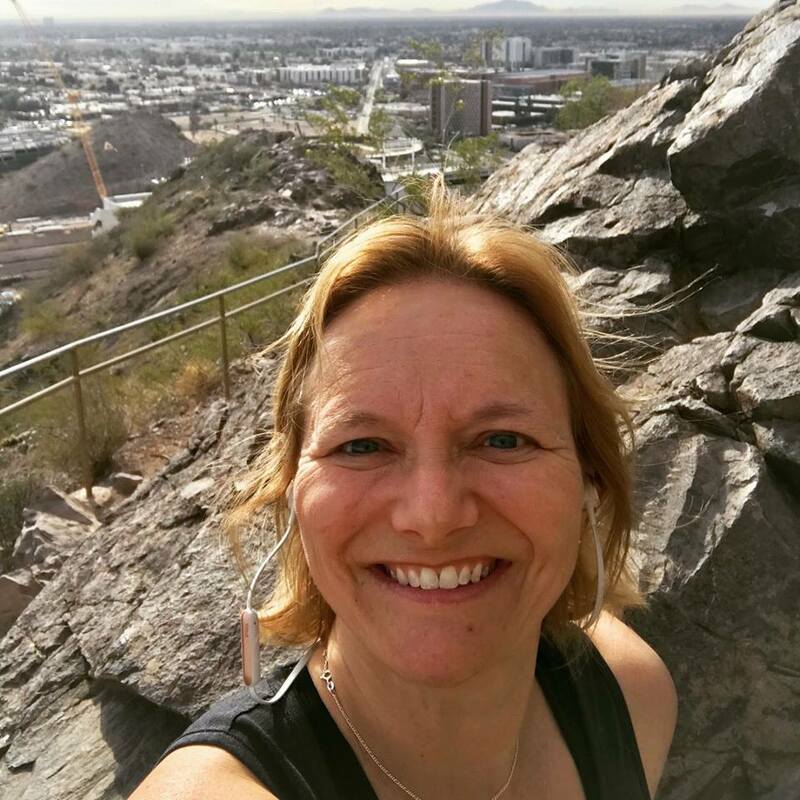 There was this great mountain in downtown Tempe that beckoned, so of course I had to check it out! It was a whirlwind couple of weeks. I kept thinking, as great as it all was, I couldn’t wait to get back home to my own bed! Better yet, I knew there was a certain package that required my immediate attention. 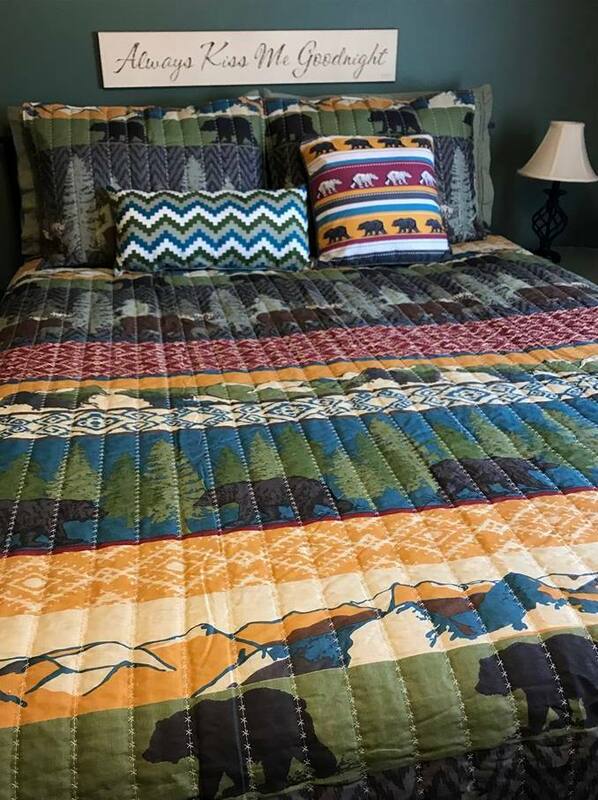 I couldn’t wait to see the Black Bear Lodge Quilt Set and Black Bear Lodge Pillow Pair Latest Bedding generously provided for my review. 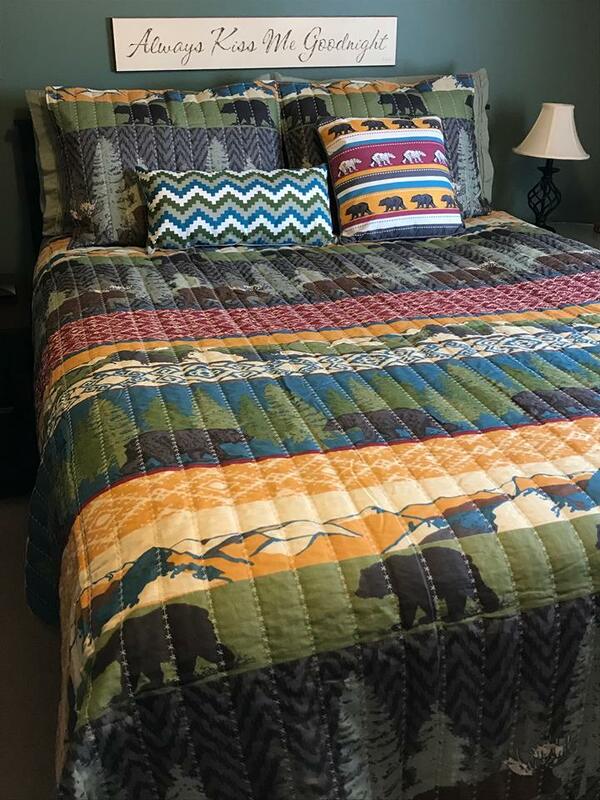 I should mention, they pre-selected this quilt set for me, but after exploring their site, I have to admit, it’s the very one I would have chosen for myself…I mean there goes the universe again right?!? 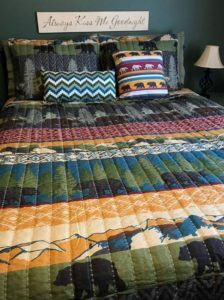 I admit, I was hesitant in ordering the full/queen size quilt, as I feared it wouldn’t be wide enough to adequately cover my queen mattress, but it was the perfect size! I also noticed the use of the word quilt in this case refers more to the fact that the fabric has lots of embellished stitching, but is not the thick, warm weight I was expecting. But as it turns out, that is a very good thing because I was sad to think I’d be replacing my favorite down comforter…I get to use both…win/win! The pillow shams are a great weight for decor, the pillow pair is the perfect accent, and together, this well constructed set makes my room pop! 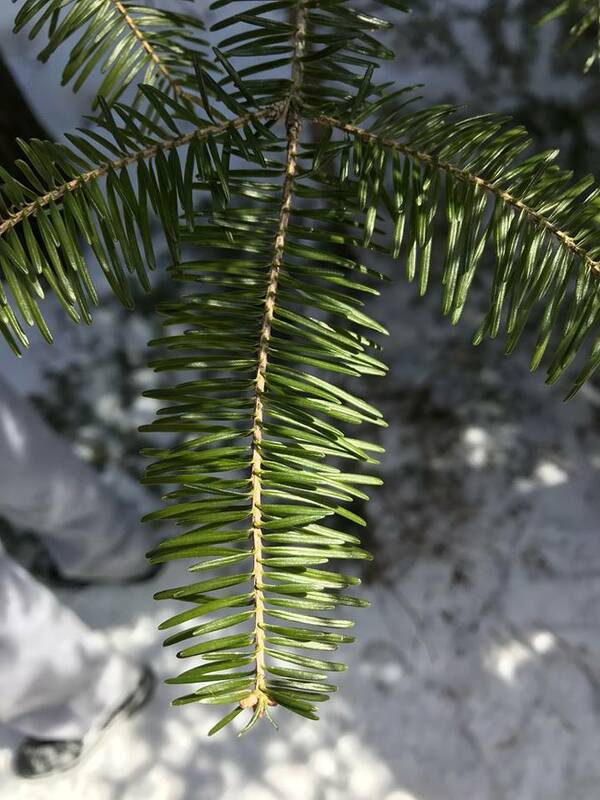 A quick trip to the beautiful woods of northern Minnesota had me breathing deep, receiving all those amazingly good vibes! Yeah, of course I hugged a tree or two haha! As spectacular as it all was, I was right back to that familiar yearning…to get back home to the comfort of my favorite retreat. 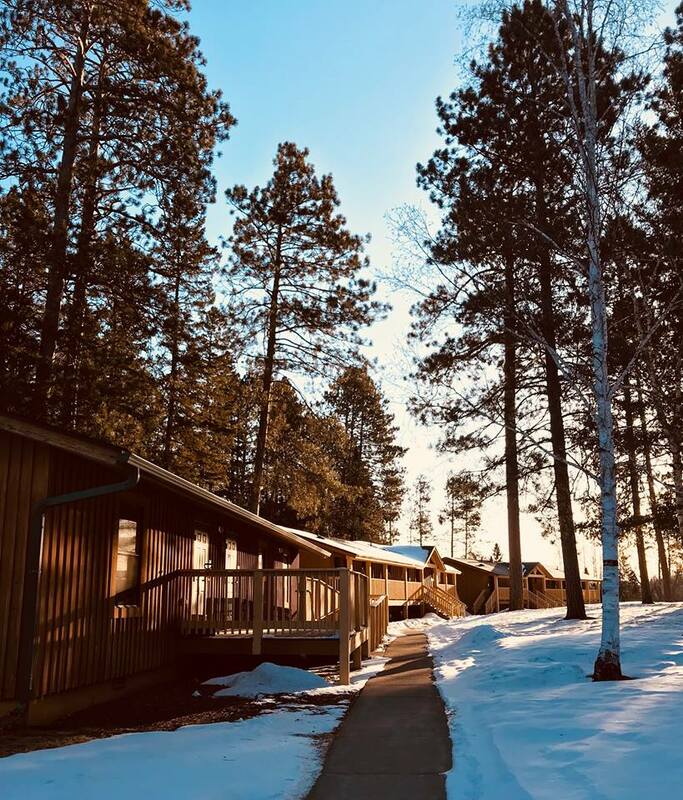 But this time, upon returning home, I couldn’t help smiling when I realized I have my favorite parts of nature’s beauty all right there…the wildlife, mountains, trees and those good vibes all right here…ahhhhh. This set couldn’t have been more perfect than if I had picked it myself. But I know the Black Bear Lodge set isn’t for everyone. That’s why you should stop on over to the Latest Bedding’s website to look for yourself…there’s something there for everyone to create a comfortable refuge that is just so THEM!